Chinese New Year is just around the corner so it only makes sense for businesses to start cashing in on the festivities. I’m truly kidding, I’m always thinking that Sydney could do with a bit more new year cheer especially when I’m so used to what we usually have going on back in Malaysia. I’m very appreciative of the Lunar Markets for being there to capture a bit of the new year spirit and also for being a novelty bit of space that my friends and I can check out on a Thursday evening. 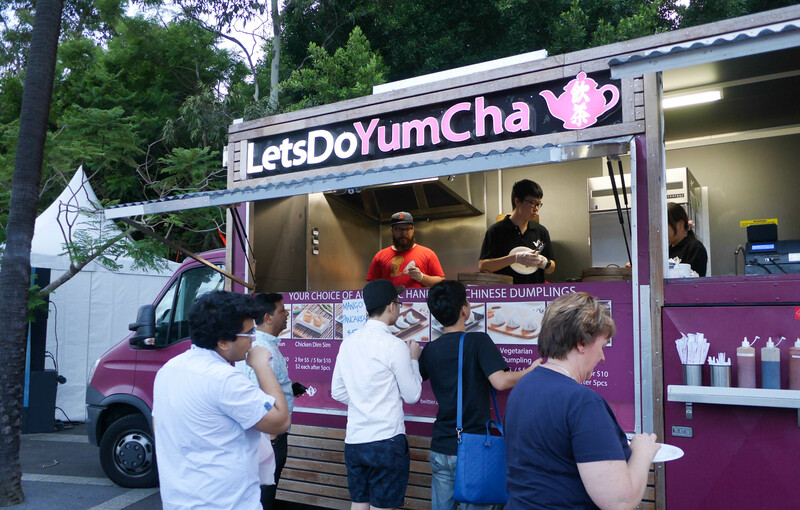 Let’s Do Yum Cha seems to be everywhere nowadays and so it’s only fitting that they are here too. 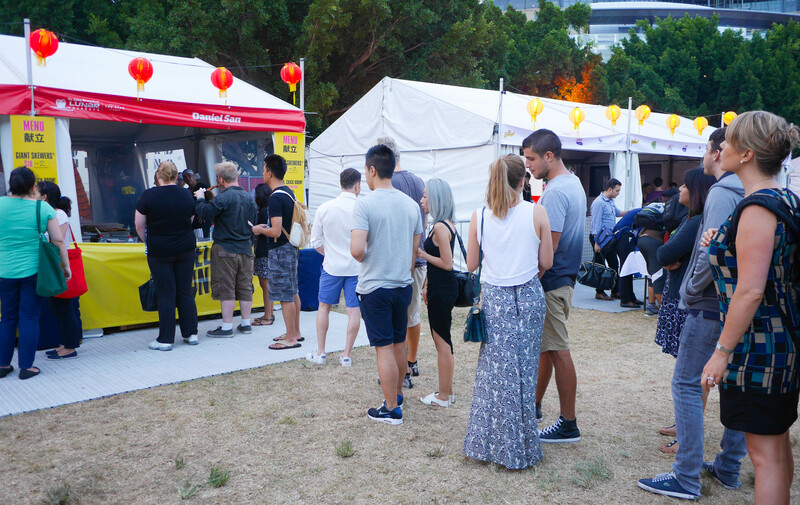 This is the first time I’ve seen only a handful of people stand outside the food truck as I recall even at the Night Noodle Markets last year it drew a considerable crowd. This isn’t the end of my comparison to the Night Noodle Markets. Being close to the water is a nice feature but overall it all just seems a little bit ghetto, where’d my giant inflatable lucky cat go? We’re here for the food though and I’ve definitely been to markets in Asia that are far worse so it doesn’t really matter. There’s a considerable crowd here but by and large the queues yesterday at 7.30 pm were not crazy at all. The reason for this is probably a combination of a cloudy weather forecast and the fact that Pyrmont Bay Park isn’t as centrally located as Hyde Park is. There are four of us here and after having studied the restaurant list prior, we initiated our plan for the night that is to divide and conquer. As we did a quick walk through the stalls I spotted this er, I don’t know what to call this. I have absolutely no idea what a Nyonya lollipop is despite having Nyonya blood in me. The Ribena longan on the other hand invokes many late night jaunts to Ming Tien in Taman Megah. I didn’t get to try this but if it’s anything like what I remember from home, I’m sure the refreshing taste will be a guaranteed hit for the Sydney summer. I’m noticing that Malaysian food is coming back in fashion except in unconventional forms like that Rotikon place at Market City, Hawker selling apom balik and that other Hot & Roll roti wrap place located underneath The Quay apartments. 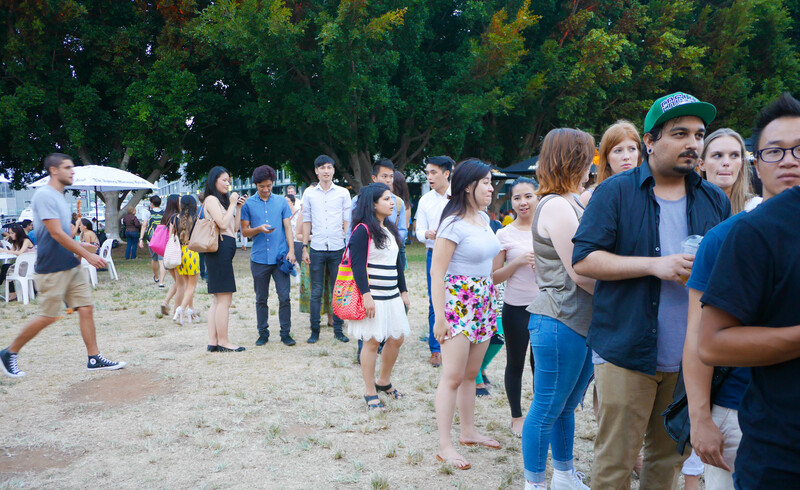 The queue for Daniel San seemed intimidating at first but they have tonnes of skewers going at once so you can basically pay and pick it up immediately. This makes for a very efficient queue. Bao Stop on the other hand, looks like a huge challenge even for the most patient of us. 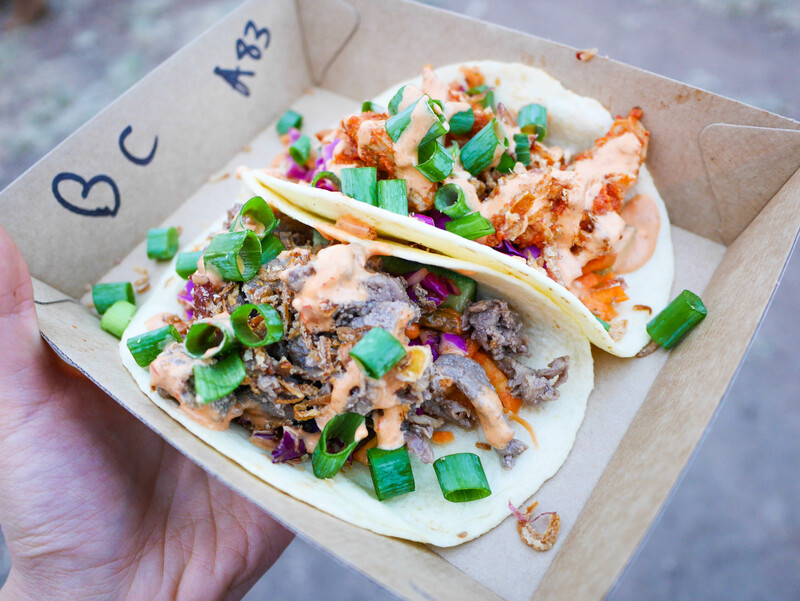 Proof that the gua bao trend is still going strong here. 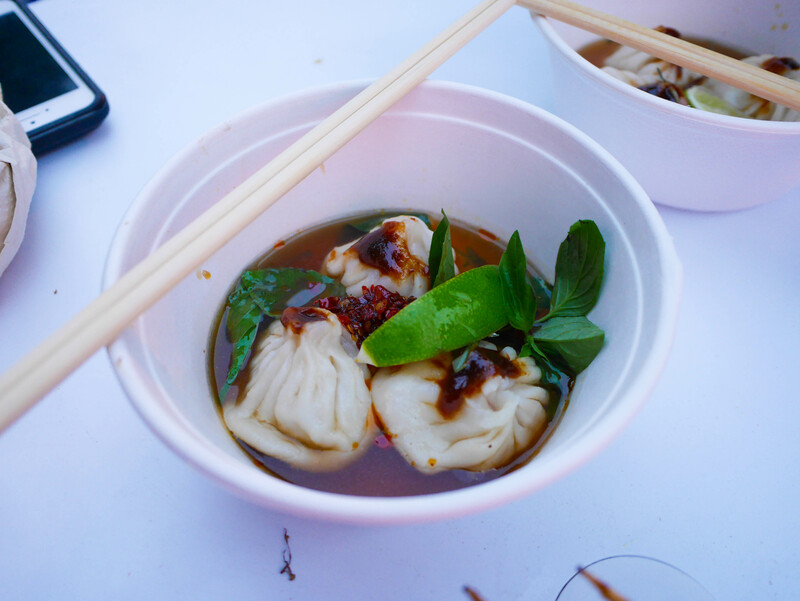 After hearing so much about Poklol from the Night Noodle Markets last year I was quite excited to try it. It unfortunately fell quite flat for me as the ‘bulgolgi beef’ was hardly bulgogi and more greying bits of meat. The chicken was slightly better but I wouldn’t exactly hype about the flavours which mainly came from the spicy mayo. Worth mentioning though is that we ended up eating these last so they were cold by then. These tacos which were $15 for 2 would probably have been much better hot so that was an error on our part. 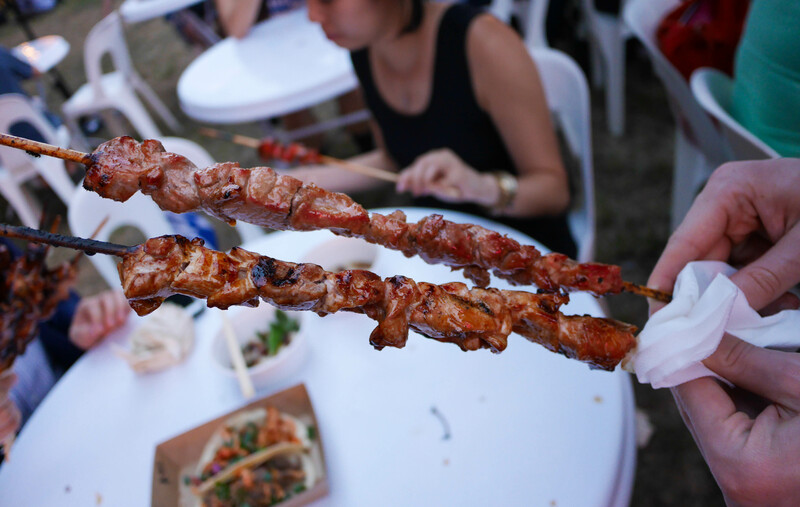 The meat to skewer ratio for these Daniel San skewers is ridiculous. They are so supersized and at $10 for 2, they’re not a bad investment. Meat was tender and succulent and had a nice sweet and savoury taste to them. Unfortunately for Daniel San, Hoy Pinoy is back in town and oh my god. 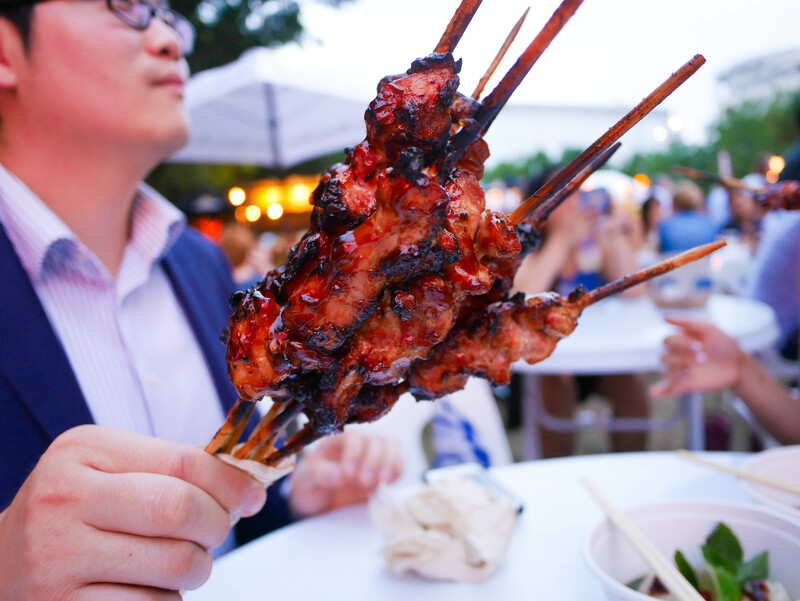 As a Malaysian, my bones are basically made out of satay so I’m pretty accustomed to delicious meats on a stick. But Hoy Pinoy’s is on a completely different level. It was so incredible smoky and absolutely dripping with a sticky sweet sauce. The chicken one I had was phenomenal but the rest of the table reach a unanimous decision that pork was still miles better. I’ve never really had Filipino food before but if this is anything to go by, I think I really need to get into it! Last on the list is the highly anticipated phumpling which I first caught wind of at the Sydney Festival. It claims to be like everyone’s favourite xiao long bao except with pho soup and beef encased within. I was personally extra excited because if this turned out to be good, I’d finally found my answer to non-pork XLB in Sydney. It’s hard to express how much I did not like it. The skin was so thick and chewy, almost like the dirty dumplings you can get at any hole-in-the-wall Chinese restaurant. 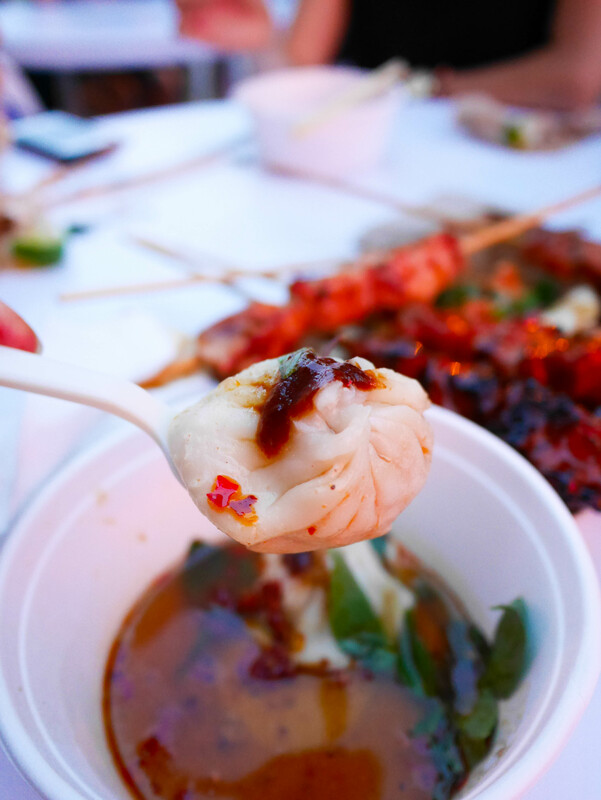 There was no discernible pho soup taste to the stock in the dumpling. The meat itself too was like a smooth paste, kind of like a super processed meat ball and tasted utterly flavourless. The only thing I’d give points for the combination of the lime with the soup the dumpling sat in, that was quite tasty to slurp up and also a nice little homage to actual pho. I believe these were selling for $10 a bowl which comes with three phumplings. 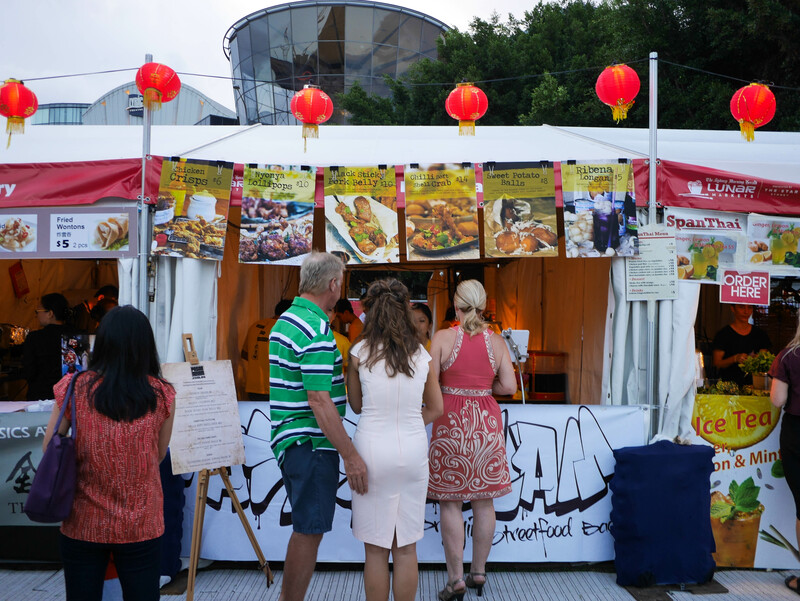 That’s my wrap for the Lunar Markets this year. With only Hoy Pinoy as a standout stall for me I doubt I’ll be returning. Don’t take my word for it though, plenty of other stalls were there that I did not get to try and they could be concealing some kind of mystical umamilicious snack that’s just waiting to be discovered and Instagrammed. If you’ve been or are planning to go, let me know your thoughts. Happy eating people! Ugh, I left Sydney the day before this festival! The food looks so, so good. It was very festive and I love that people atmosphere. 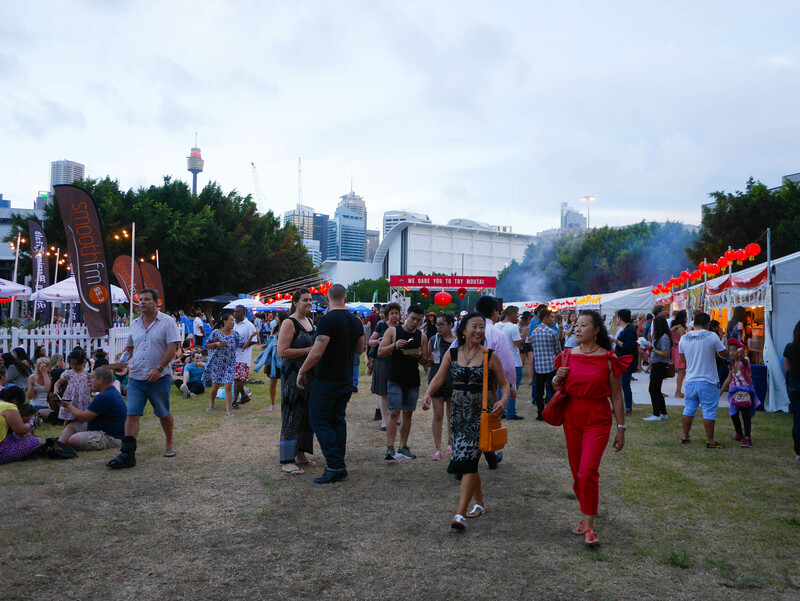 The Night Noodle Markets are a lot bigger and have many more stalls so I hope you can come back this year when that’s on!